Ben Frost's new album, produced by Steve Albini, is out now, and you can listen to it in full below. In his biography for Le Guess Who? 2017, we described his music as a 'huge, piercing sound: grand and physical', and that definitely goes for 'The Centre Cannot Hold'. 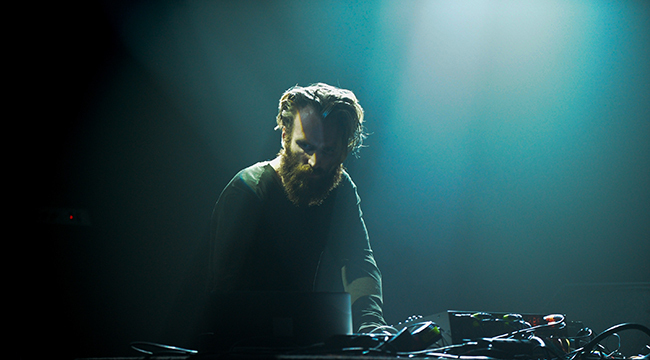 Ben Frost performs at Le Guess Who? 2017 on Saturday, 11 November. That same day, James Holden & The Animal Spirits, Pharoah Sanders, Moon Duo, Shabazz Palaces, John Maus, Mario Batkovic, Hieroglyphic Being, and many more perform as well.